Heat oil in a broth pan add mustard seeds, chana dal and curry leaves, As they splutter add onion and fry until light golden reduce the heat and add green chili, turmeric powder and red chili powder stir quickly add murmura stir and mix with spices. Add 1/4 cup water cook for 5 minutes on medium hot heat. Meanwhile heat oil in another pan and fry the peanuts. Now switch off the gas, add lemon juice, peanut mix well. 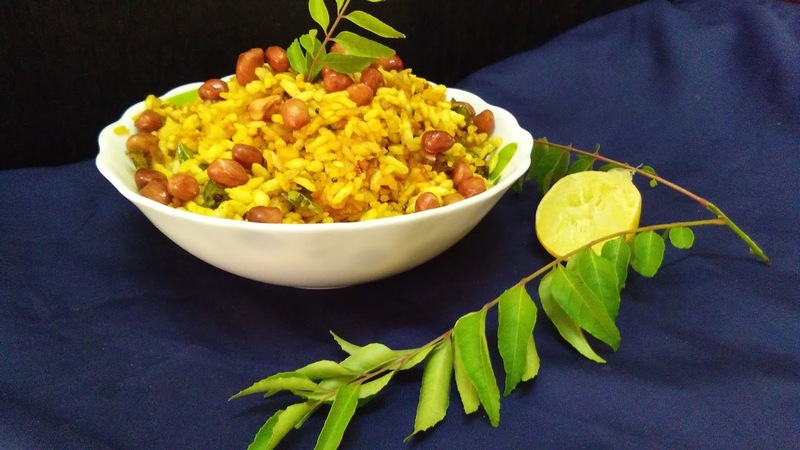 Garnish with peanut and curryleaves Serve hot with tea or coffee. we can also add some green peas and potatoes.